Jay-Z can be described as many things. Rapper. Mogul. Businessman. (A fan. A phony. A fake. A p***y. A Stan. At least that's what Nas would call him.) But one thing you've never been able to call him is stupid. Its impossible to remain at the top of any industry for almost two decades and be stupid. Especially an industry as fickle and youth obsessed as the music industry can be. Time and again he's shown the ability to reinvent himself. From drug dealer. To rapper that used to be a drug dealer. To pop star that used to be a drug dealer. To Def Jam president. To business mogul. 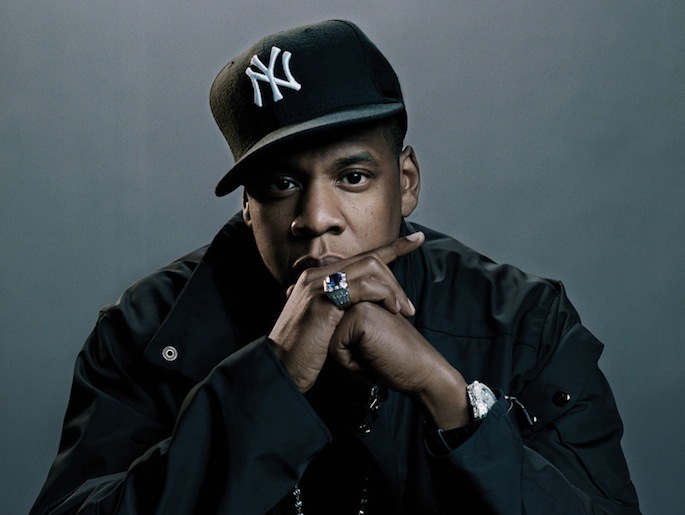 At this point, Jay can announce his next business venture will be launching a new brand of Tupperware called Roc-A-Ware and we will just nod and say "Ok."
So when I heard the news today that Jay-Z was looking to sell his stake in the Brooklyn Nets so that he can become an NBA agent, my first thought was "Of course he is." This is what Jay-Z does. Color me unsurprised. But what does surprise me is one revelation I learned. Jay owned 0.067% of the Brooklyn Nets. Yes, you read that correctly. 0.067. As in less than 1%. Worth about $350,000. For a franchise worth approximately $530 million. HUH? That's it? I've always known he didn't own a great portion of the franchise. But really? $350,000? I don't mean to suggest this is a small amount of money. But Jay-Z and Beyonce allegedly spent $200,000 on their daughter Blu Ivy's 1st birthday party. It turns out that Jay truly was a mascot of sorts for the Nets. He never owned a substantial enough portion of the franchise to have any real power. So with the move to Brooklyn complete leaving him without a ton to do and the novelty of "owning" an NBA team wearing off, Jay is a rich guy looking for something else to do with his money. So why not become an agent? He's super popular among players. His name carries weight. And it's not like he's gonna actually be negotiating any contracts. He'll be a mascot. Same as he was for the Nets. Only this time he stands to make a lot more money. To quote one of the greatest rappers of all time "Don't be mad at him when it's on to the next one."